Set in the beautiful park like setting of Caroline Bay. 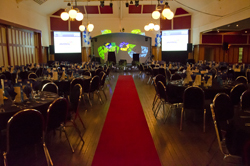 This grand old lady with its sprung floor and modern commercial kitchen lends itself to exhibitions, weddings, balls, conferences, sporting events, concerts and shows. 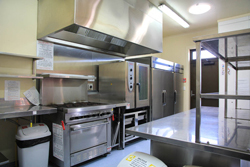 Operated by Timaru District Council. 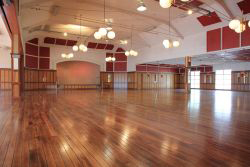 The Caroline Bay Hall may be used for dances, socials, wedding receptions, events, exhibitions and public meetings.